An ‘R’ driver who thought he was fit to drive the morning after he had been drinking the night before was banned for 12 months last Wednesday at Craigavon Magistrates Court. Patrick Brian McKerr (26), Hawthorne Drive, Portadown, was also fined £200 for excess alcohol in breath on April 9 this year and fined £50 for not displaying ‘R’ plates. The court heard that police received a report of a car at houses at the junction of Flush Place and Hamilton Street in Lurgan. The defendant was spotted in an alleyway and admitted he had been driving. There was a smell of alcohol on his breath. McKerr failed a preliminary test and an evidential breath test gave a reading of 56. He had passed his test on August 15 and was a restricted driver but there were no ‘R’ plates displayed on the vehicle. He said he had panicked and ran off but would have contacted the police later. A solicitor representing the defendant said he had been drinking the night before and thought he was okay to drive. She added that McKerr would say a tyre had blown out and he had pushed the car off the road to the side of a property. 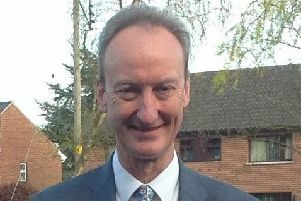 District Judge, Mr Mervyn Bates, said what concerned him was that the defendant had been driving with excess alcohol so shortly after passing his test.